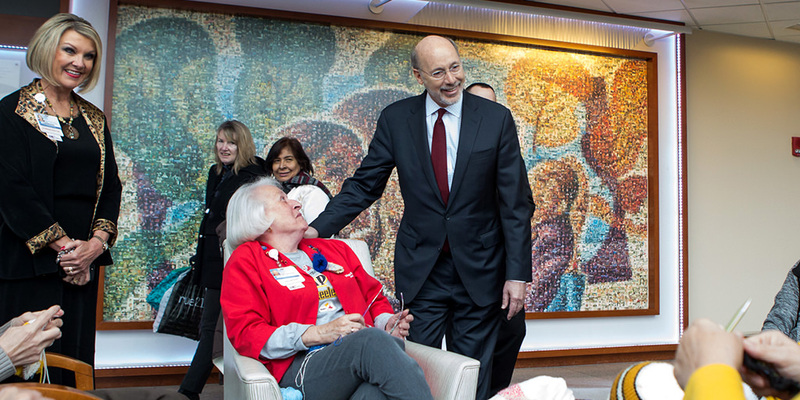 Harrisburg, PA – Governor Wolf today announced a decline in the commonwealth’s uninsured rate from 6.4 percent in 2015 to 5.6 percent in 2016, the lowest on record. Before the Affordable Care Act was implemented and Governor Wolf expanded Medicaid, Pennsylvania’s uninsured rate was more than 10 percent. Pennsylvania’s 5.6 percent uninsured rate was released as part of a national study on health insurance coverage for 2016 based on current population reports issued by the United States Census Bureau earlier this week. The decrease continues the downward trend Pennsylvania’s uninsured rate has been on since 2013, making 2016’s 5.6 percent the commonwealth’s lowest ever uninsured rate, down from more than 10 percent when the Affordable Care Act was passed. The national uninsured rate fell 0.3 percent to 8.8 percent in 2016.